Despite their aging status, Samsung Galaxy S8 and S8+ remain to be among the best smartphones the market has to offer. Both feature gorgeous designs with curved displays and high-end specs and features, but like any other product, the pair is not perfect. 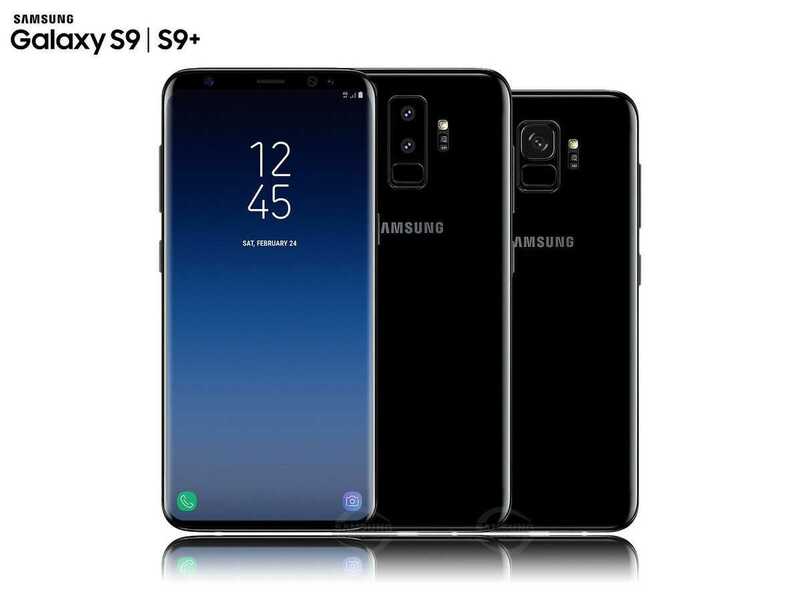 Given that Samsung has had more than enough feedback regarding the two Galaxy S8 phones, our expectations are that the South Korean tech giant will be addressing these issues with their successors, the Samsung Galaxy S9 and S9+. The S9 pair is expected to be unveiled in Q1 2018, but the exact release date remains unknown. As you would expect, Samsung has remained silent on the details of the Galaxy S9 and S9+, but this hasn’t stopped experienced snoopers from getting their hands on valuable information about the pair. With this in mind, we have quite a significant amount of info regarding the design, specs, features and price of the S9 twins. Samsung Galaxy S9 and S9+ will reportedly be “tick tock” upgrades over the Galaxy S8 and S8+. This means they’ll keep largely the same design, display sizes, resolution and more, but there will also be some exceptions. According to reports, the Galaxy S9 and S9+ will have significantly reduced top and bottom bezels, thus shooting the screen-to-body ratio to about 90%. This design change is expected to make the S9 and S9+ even more compact since the screen sizes will remain unchanged at 5.8 and 6.2 inches, respectively. They’ll still feature Super AMOLED panels with QHD+ resolutions and 18.5:9 aspect ratios. Other than the reduced bezel sizes, the front panels will remain the same as the Galaxy S8 and S8+, but the story is quite different when it comes to the back. Here, the upcoming Samsung Galaxy S9 and S9+ will shift the position of the fingerprint scanner to a vertical arrangement, just below the camera. Also, the S9+ will supposedly get a dual-lens camera on the back, but the standard S9 will keep the same single-lens unit used on the 2017 models. Looking at how beautiful the Galaxy S8 and S8+ are, it’s definitely not a bad thing to see Samsung keeping most of the good aspects of the phone on the S9 and S9+. Like the S8 twins, you can still expect the S9 pair to come with a mostly glass body with IP68 certification alongside the traditional 3.5mm audio jack. Being “tick tock” upgrades, the Samsung Galaxy S9 and S9+’s major changes are on the inside. If a report by VentureBeat is to be believed, the S9 pair will have more differences than just the screen size and battery capacity. Where the standard model will ship with a 4GB RAM, the high-end variant will get 6GB RAM. On top of having 2GB more RAM, the Galaxy S9+ is also expected to sport a dual-lens camera on the back. Apparently, the Galaxy S9 and S9+ could be the first phones to feature a massive f/1.4 aperture lenses with ability to record videos of up to 1000fps. As usual, the same chipset will run the show – either Exynos 9810 or Snapdragon 835, depending on where you are. The storage will remain at 64GB with room to expand via a microSD card of up to 256GB. Samsung is also expected to stick with 2D facial recognition technology rather than jump to 3D technology that is making headlines with the Apple iPhone X due to “technological limitations” and security concerns. Of course, the iris scanner should still be in place, albeit with some significant improvements. Software-wise, Samsung Galaxy S9 and S9+ will come packed with Android Oreo out of the box alongside Samsung’s Experience skin on top. The digital assistant Bixby will still keep its place with a dedicated button, but you can expect a drastically improved virtual assistant. Evan Blass recently said that the Samsung Galaxy S9 and S9+ will be teased at the CES 2018 event that kicks off on January 9. While we cannot ascertain this claim, Blass’ tips are not to be taken lightly. Still, we don’t know how much information Samsung will feed the public regarding the S9 and S9+ during this event, but you can expect the official launch to take place somewhere in March 2018. As for the price, your guess is as good as ours. This year, the Galaxy S8 was priced at $725 ($750 on some platforms) while the Galaxy S8+ came in priced at $825 ($850 on some platforms), which made the two the priciest in the Galaxy S series yet. Despite being “tick tock” upgrades, word on the street has it that the Galaxy S9 and S9+ could come with even higher price tags. Keep in mind that these reports are rumors and Samsung hasn’t confirmed anything just yet. But just like previous cases, we expect a huge chunk of these rumors to materialize. What do you think? Let us know in your comments below.